Dependable Commercial and Residential Tri-State Roofing Since 1992.
call on the roofing contractors at Armour Seal Roofing and Contracting for all your roofing and construction needs. For repairs, installations, and other commercial roofing services, you can depend on our roofing contractors to get the job done. We provide contracting services for residential and commercial buildings that are wanting to enhance the look and value of their property. Whether you need installations or repairs, our roofers are here to improve the quality and look of your exterior walls. From new sidewalks, parking garages, and everything in between are our concrete projects are long-lasting and high-quality. When You Need a Local Roofer in Chester, PA, Turn To the Roofing Contractors at Armour Seal Roofing. When you need a local roofer in Chester, PA that is able to offer a wide variety of services, look to the roofing contractors at Armour Seal Roofing, Masonry and Contracting. Since 1992, we have been offering customers living in the Chester, PA area with residential roofing, commercial roofing, roof restoration, and other services. We believe that every person deserves high-quality roofing services that are reliable, long-lasting, and affordable, and we are able to accomplish that with our roof services. Regardless if you need shingle roof replacement or are looking to upgrade one of your living quarters, our roofing contractors are able to handle any roof or home/building improvement project you want. For a roofer who is there for their customers every step of the way, contact Armour Seal Roofing, Masonry and Contracting. 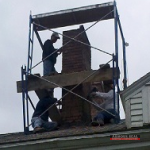 Looking for a roofer in Chester, PA? Give our roofing company a call today at 267-622-7158 to schedule an appointment for residential, commercial, restoration, or other services. With a lot of roofing companies, they only focus on either commercial or residential. At Armour Seal Roofing, Masonry and Contracting, we are proud to provide our customers with residential, commercial, restoration, and other services that can increase the value and look of your residential or commercial property. When you are looking for roofing services for your home, business, or need to add extras to your property, our licensed roofers are here for you for whatever service you may need. Whether you need emergency roof repair or gutter installation, the roofers at Armour Seal Roofing, Masonry and Contracting have got you covered in regards to residential repair, installation, and replacement. Since 1992, we have been offering residential customers exceptional roofing services and we will continue to do that for many years to come. Emergency Roof Repair If you ever experience roof repairs that cannot wait, our roofers are available to you 24/7 for emergency roof repair service. Shingle Roof Replacement Is your shingle roof old or missing a few shingles? Our roofers are here to offer shingle roof replacement to our residential customers. 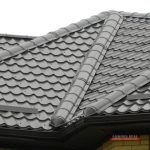 Metal Roof Repair/Replacement Keep your metal roof in good condition with our roof repairs, or consider a full metal roof replacement if your roofing system is old and beyond repair. 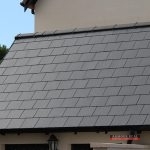 Slate Roofing Our roofers specialized in slate roofing services, so if you need repairs, installations, or replacements, we have got you covered. Flat Roofing Interested in flat roofing for your home? 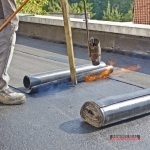 Call Armour Seal Roofing, Masonry and Contracting today for quality flat roofing services. Soffit and Fascia Your soffit and fascia are essential components to your roofing system, so when you are looking for repairs, installations, or replacements, call us for our services. 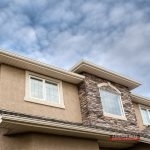 Roof Flashing When your roof flashing is damaged and needs repairs or replacements, we are here to get the job done. Gutter Installation Are you needing gutter installation or gutter repairs for your roof? Call us today! 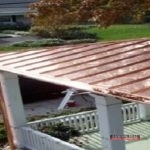 Copper Roofing If you need installation, repair, replacement, or other copper products, our roofers are available to you! 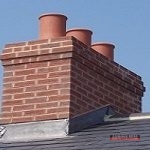 Chimney Repair Does your chimney look worn or are you experiencing leaks in the chimney? Our contractors are here for you! If you need residential roofing in Chester, PA, call us today at 267-622-7158. We are happy to make an appointment that is convenient for you and your schedule. At Armour Seal Roofing, Masonry and Contrating, we are proud to offer high-quality commercial roofing to commercial property owners in the Chester, PA area. If you need installation, repair, or roof replacement, we are the roofers to call for your commercial roofing needs. TPO For high-end TPO roofing for your commercial building, call Armour Seal Roofing, Masonry and Contracting for TPO roof services. 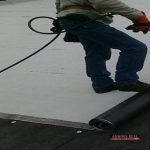 EPDM Get a roofing system for your commercial property that will bring you years of protection with an EPDM roof. Metal Roofing Not only do these roofs look great on commercial properties, they provide amazing protection with their durable material. Modified Bitumen Roofing Ensure your roofing system is completely waterproof and offers amazing protection with Modified Bitumen roofing. Built Up Roofing With over 100 years of providing commercial buildings with lasting protection, Built Up roofing is an amazing roofing choice. 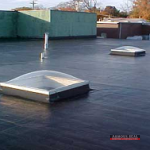 Roof Repair When you need roof repairs for your commercial property in Chester, PA, you can depend on the roofing contractors at Armour Seal Roofing, Masonry and Contracting. 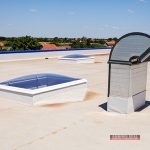 Roof Installation Need commercial roof installation for your commercial property? Look no further than our professional commercial roofing contractors. Have questions about our commercial roofing in Chester, PA, or would like to set up an appointment for commercial roofing services? Call us today at 267-622-7158. When your roofing system is old or is showing signs that it’s seen better days, it might seem best to get a full roof replacement. At Armour Seal Roofing, Masonry and Contracting, we offer roof restoration services to get your roofing system back in great shape. 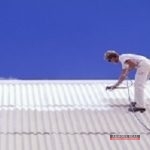 We offer these roof coatings to get your roof looking better than ever. Acrylic Get a roof coating that is resistant to UV rays and incredibly durable with an acrylic roof coating. Elastomeric When you have a roof leak that just won’t go away with traditional repairs, Elastomeric roof coatings provide amazing and effective protection. Silicone Want an environmentally friendly roof coating that is also durable and provides amazing protection? 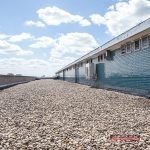 Silicone roof coatings are something to consider. Polyurea With Polyurea roof coatings, you are able to protect your roofing system from corrosion and so much more. If roof restoration seems like something you might be interested in, call our roofing contractors today at 267-622-7158 to learn more about our roof restoration in Chester, PA.
Our company is known for its roofing and masonry, but we also offer contracting services, also. Whether you want to update your bathroom or you want to upgrade the floors in your home, our contractors are able to handle any job. Bathroom Remodeling Is your bathroom completely outdated? Call Armour Seal Roofing, Masonry and Contracting for bathroom remodeling services. Hardwood Floors Our contractors are able to upgrade the look and feel of any room in your home with our hardwood floor installation service. Kitchen Remodeling Your kitchen is one of the most important rooms in your home, so call us to enhance the look and value of your home with kitchen remodeling services. To learn more about our general contracting in Chester, PA, just give us a call at 267-622-7158 and one of our contractors would be more than happy to walk you through our process. While Armour Seal Roofing, Masonry and Contracting is known for roofing services, we also offer other services, as well. We want our residential and commercial customers to get the most out of our services, which is why we supply additional services that can boost their curb appeal and add value to their home or business. 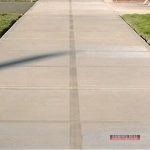 Concrete Projects Want to repair the driveway at your home or are you looking to add a parking lot to your building? Our team of professionals is able to help! Masonry Stucco Looking to add stucco siding to your home or interested in another masonry stucco project?Call our masonry contractors today for high-quality and beautiful masonry stucco for your home or business. Siding Siding is a great way to not only add value to your home but also improve the overall look; we provide siding installation and repair for our customers. Get in touch with a roofer today at 267-622-7158 to receive more information on the extra services we offer our amazing customers. Call Us Today for a Roofer You Can Trust. 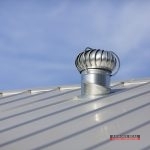 Need superior roofing services at an affordable cost? Call our roofers in Chester, PA today! We are happy to talk with residential or commercial customers about what services they might need and even offer advice on what products or materials may benefit them. Our customers are incredibly important to us, which is why we only use high-quality materials, state-of-the-art tools, and employ certified and qualified roofers to get the job done and give customers the services they deserve. If you want to speak to a roofer in Chester, PA about scheduling an appointment with Armour Seal Roofing, Masonry and Contracting, just call 267-622-7158 to receive amazing roofing services for your home or business. Updated on November 7, 2017 at 10:41 pm by Armour Seal Roofing.